The Sister Bay Fire Station’s Halloween Party will be held on Friday, Oct. 31st from 5-7pm. 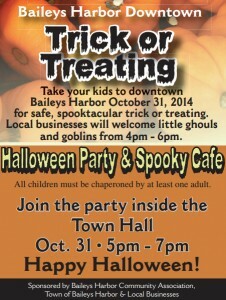 Sister Bay trick or treating on Halloween is from 3:30-6:30pm. Jacksonport trick or treating on Halloween is from 3-7pm. In Sturgeon Bay, a wickedly good time may be had if you attend the Rocky Horror Picture Show at Third Avenue Playhouse on Friday night at 7:30pm – the show will be followed by the annual Dark Songs performance at 10:30pm. A second evening of Dark Songs (created by the songwriters at the Holiday Music Motel) will be from 7-10pm on Nov. 1st – the Day of the Dead. 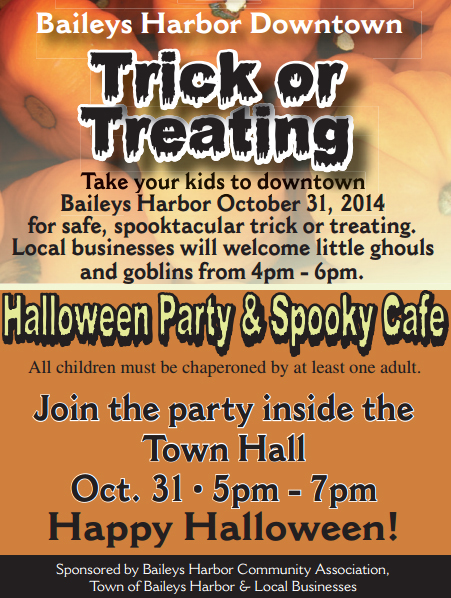 Trick or treating in Sturgeon Bay on Halloween Friday is from 4-7pm. 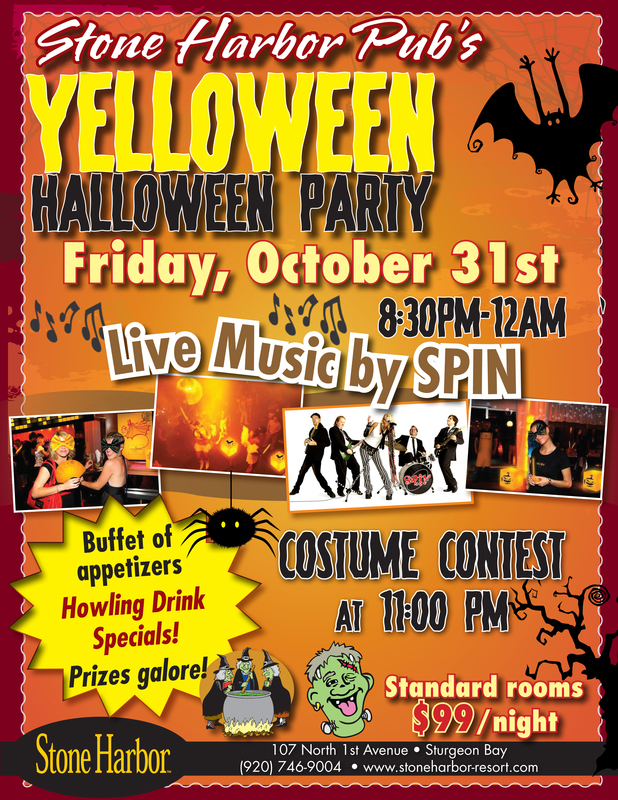 Stone Harbor Resort is having their own Halloween Party on Friday starting at 8:30pm with a buffet of appetizers, Howling Drink Specials, and prizes! 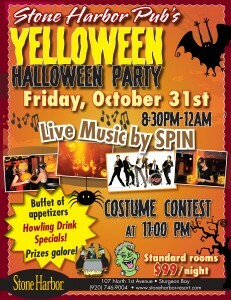 Plus a costume contest at 11pm and live music by SPIN. Book a room and make a weekend of it! 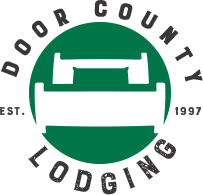 Door County’s lodgings are shifting into their “Off Season” Rates – which means great deals on fabulous rooms and suites, and Lodging Packages that will enhance your experience of the Door Peninsula in late fall and winter… Here are your Last Minute Lodging options for this weekend!